"Dear Philip, I would like to thank you once more. You've been very kind, helpful, professional and friendly at the same time. I enjoyed doing business with you and "Original Books". Kind regards, Christina"
"Thank you so much: I love the book/ box, which will make the perfect birthday gift. I have been very impressed by the prompt service. The courier tracking service was fantastic too: very helpful to know exactly when to expect the parcel. Many thanks." "Thank you very much - I have now received the file, which are perfect and exactly what I needed." "I've received samples of your books - they are amazing!" "I've received my box files. I think they are great. Can I order two more personalised files for you to send direct to a friend as a birthday present?" "I just want to say thank you for the book you made, it looks brilliant and will look very good with the rest of my university work." 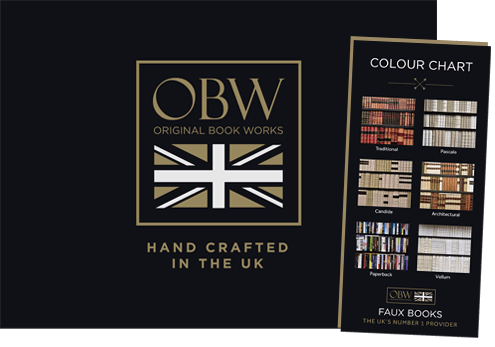 "Dear Original Book Works, Just a quick note to say that our ledger boxes arrived safely and to thank you all for your absolutely outstanding customer service. As you may or may not know my husband accidentally ordered lever arch files in error and I had to send them back and replace them with ledger boxes. The whole process was made very easy and your staff could not have been more polite, professional and helpful. Thank you very much indeed and we will be definitely purchasing more boxes from you soon. With very best regards, Louise Speers"
At OBW we value customer feedback - let us know if you liked your goods or if there is something you think we could do better by contacting us.